The perfect gift for gelatine-free friends! 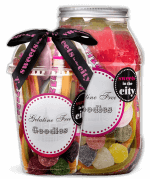 These goodies may skimp on the gelatine, but they certainly don't skimp on taste! With a jelly-focused sweet mix of Giant Strawberries, American Hard Gums and Rainbow Twists, you're sure to love this gelatine-free selection. Product 1: Sugar, water, glucose syrup, cornflour, modified potato starch, flavourings, acid (citric acid), colours: (anthocyanins, chlorophylls, paprika extract, curcumin). Product 2: Sugar, acidity regulator: malic acid, stearic acid, sodium bicarbonate, modified starch, magnesium stearate, anti-caking agent: magnesium carbonate, flavourings, colours: anthocyanin, copper chlorophyllin, curcumin, lutein, paprika. Product 3: Glucose syrup, sugar, starch, acid: citric acid, flavouring, fruit and plant concentrates: aronia, blackcurrant, elderberry, grape, lemon, orange, safflower, spirulina; caramelised sugar syrup, glazing agents: beeswax, carnauba wax; elderberry extract. Product 4: Sugar, maize starch, dextrose, acid: tartaric acid; acidity regulator: sodium hydrogen carbonate; flavourings, colours; E100, E132, E162. Product 5: Glucose-fructose syrup, WHEAT flour, sugar, water, emulsifier: mono-and diglycerides of fatty acids; acid: citric acid; vegetable fat (coconut), flavourings, preservative: E202; colours: E122, E129; glazing agents: palm oil, carnauba wax. May also contain SULPHITES. 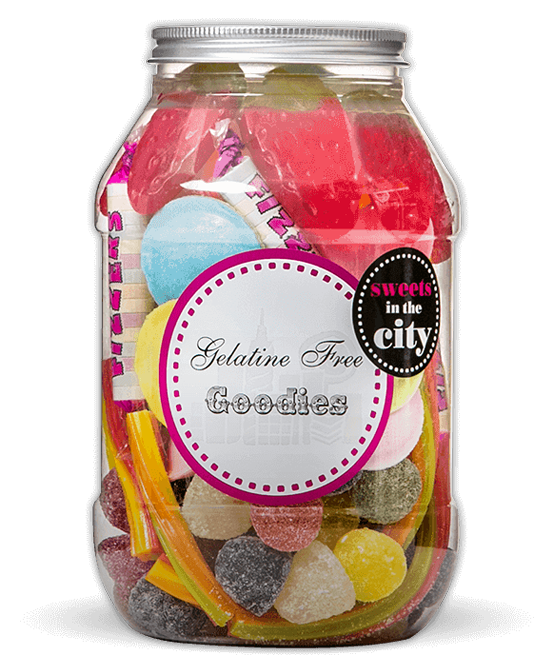 Product 6: Glucose-fructose syrup, WHEAT flour, sugar, water, emulsifier: mono-and diglycerides of fatty acids; acid: citric acid; vegetable fat (coconut), flavourings, preservative: potassium sorbate; colours: E131, E171; glazing agents: vegetable oil (palm), carnauba wax. 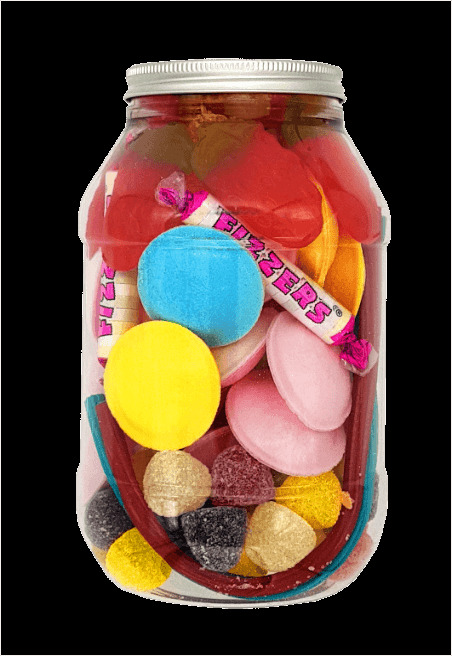 Product 7: Sugar, glucose syrup, maize starch, acid (E330, E297), glazing agents (E901, E903, E904), flavourings, food colouring (concentrates of spirulina, safflower, carrot, blackcurrant), vegetable oil (coconut), colours (E100, E120, E150a, E153, E171). Product 8: Sugar, glucose syrup, water, gelling agent (pectin), acid (lactic acid), colours (anthocyanins, chlorophylls, curcumin, capsanthin), flavourings. May also contains SULPHITES.